Before we even begin to get into the process of perfecting our brows, let’s start with what ‘fleek’ means— it means to achieve aesthetic perfection proportional to your face, a term well-known to makeup-lovers — is when eyebrows are perfectly groomed, filled, and shaped. “Brows on point” and “brows on fleek” are the same thing. Remember Eyebrows help shape, define and give your face character. Keep into consideration your eyebrows are sisters not twins; one may need a little more attention than the other. 1. 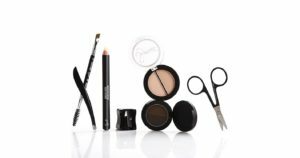 Tame the brow– What you want to do is look at your brows closely and observe where your arch and tail is, and pluck away the excess hair outside the main brow areas. Use a brush or a pencil to see where your eyebrows should start and end, and where the arch should go. Longer brows with a defined arch add depth to a face, while thicker brows with a straighter arch can soften the look of an angular face. 2. Color ‘em pretty – Pick an eyebrow pencil that suits your skin color which is a shade close to that of your brows. Personally, I always prefer a shade lighter so I can build on the color, if required. 3. Stencil with a pencil – Brush out your eyebrows with an eyebrow brush to create an outline to your desired shape. 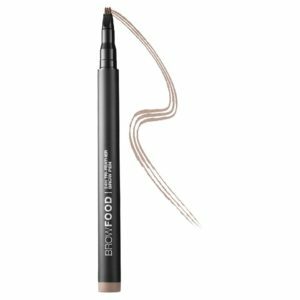 The Shape of your brows can depend on your face structure but here is a quick tip – take a pencil or brush and line it up from the corner of your eye to the edge of your nose. The place where the instrument overlaps your brow is where it should begin. Mark the spot by making a dot there with a pencil. Then for the arch look straight in a mirror; the peak of your brow should fall near the outer side of your pupil. Lastly, the end of your brow should come to a point on the outer corner of your eye at a slight angle. 4. Fill in the blanks – Now that you have determined the shape, you need to fill in the sparce areas of your brows. You should never fill them in one solid color. 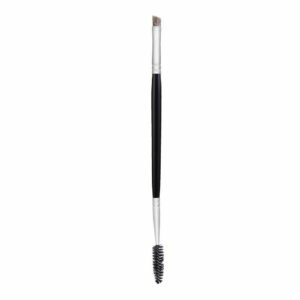 Start off light, and gradually darken all the way to the tail of your brows. 5. 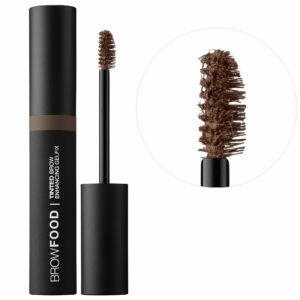 Clean up – Using a concealer that is a shade lighter than your skin tone, outline your eyebrows and blend the concealer out with a small brush. Start with a smaller amount and build up as you require. 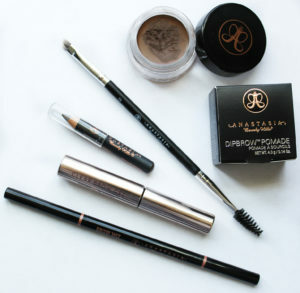 My recommended products would have to be from Anastasia Beverly Hills since she is the queen of brows, and Browfood has a great range, from Eyebrow enhancers, to brow fillers, to the best Gel Fix. A few celebrities to follow for the #EyebrowGameStrong are Camilla Belle, Rita Ora, Shay Mitchell, Cara Delevingne and Lily Collins.